The SPF of a sunscreen refers to the strength of protection and the length of time a sun-screening product will allow your skin to be in the sun without burning, given that the average person can remain in the sun for 10 minutes only without burning. Therefore, a SPF of 30+ will provide 30 times your natural sunburn protection. 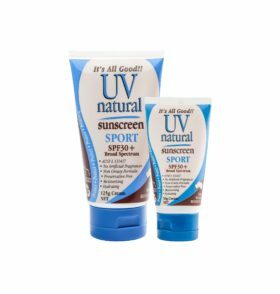 The 50ml Tube fits easily into your purse or school bag encouraging us all to be sun safe. 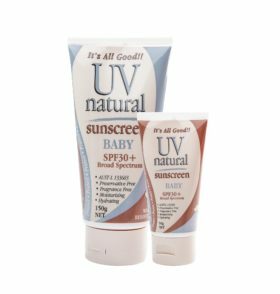 UVNatural products offer protection for your whole family. 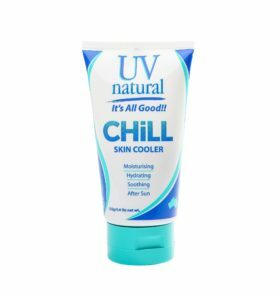 Unlike sunscreens diluted in water for cost effectiveness, UVNatural maintains an ethic to use quality, natural derived ingredients that are closest to the oils we lose from our skin as we age, hence not clogging the pores of the skin. Keep in mind, that sunscreen should be used all year round. 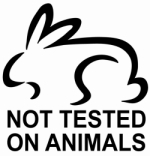 UVNatural is proud to be the only sunscreen endorsed by CCF Australia. 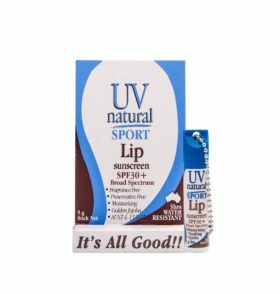 Application method for UVNatural Natural Sunscreens UVNatural is a Non Aqueous Formulation which means it does not contain water. 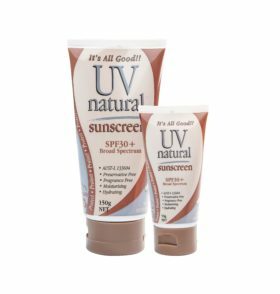 Because of our unique self preserving system, UVNatural does not need to contain synthetic preservatives.UVNatural is made from naturally derived ingredients and oils making it’s texture and application obviously different to conventional solutions made with water.As with all sunscreens it recommended that you apply liberally and evenly. To insure you get an even level of protection we recommend you apply 2 mg per 2 sq cm and allow to dry for 15-20 mins before sun exposure.As UVNatural is predominantly oil based it is important that it be applied a little at a time and evenly to the skin, as you would do a moisturiser. This method when using UVNatural makes it easier to spread evenly and will not result in an oily feel to the skin and also prevent staining to clothing. Free shipping to all Australian StatesGoods will be shipped within 3-5 business days from the receipt of payment.Damaged goods, Shortage or Error in Order – UV Natural must be notified within 48 hours of receipt of goods.Only available in Australia – for other countries please contact us via email to admin@uvnatural.comBulk buy discounts must be same item, not mixed.Payment processed through secure Pay Pal server.When you pay with PayPal, your credit card and bank numbers are never seen by us. Your financial information stays safe. Plus, you’re protected 100% against unauthorised payments sent from your account.PayPal. Privacy is built in. Learn more.